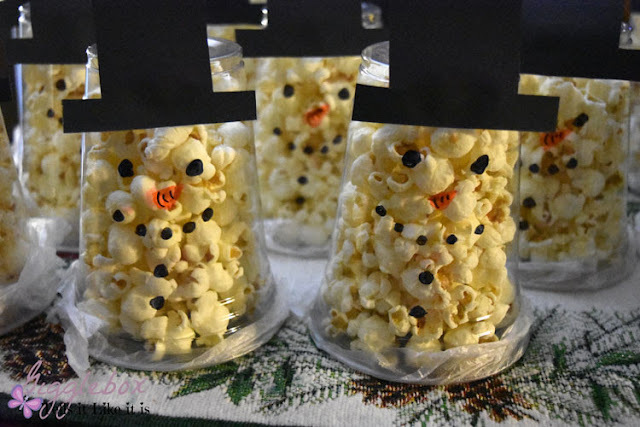 Fill each cup full of popcorn. 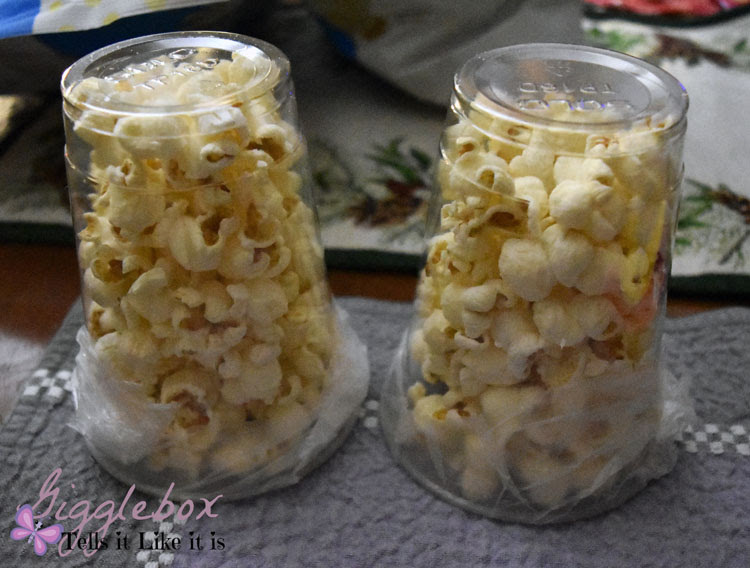 Cut the saran wrap to size and wrap around the top of the cup to help hold in the popcorn. You need this to help hold the popcorn in since the cups will be upside down. With the black construction paper, you'll want to cut out the shape of a top hat. Glue the hat to what was the bottom of the cup. Then with your black maker, draw the eyes, mouth, and a few buttons for the body. Then with the orange marker, draw a carrot. My husband decided to add some black lines to make it look more like a carrot. There you have it! 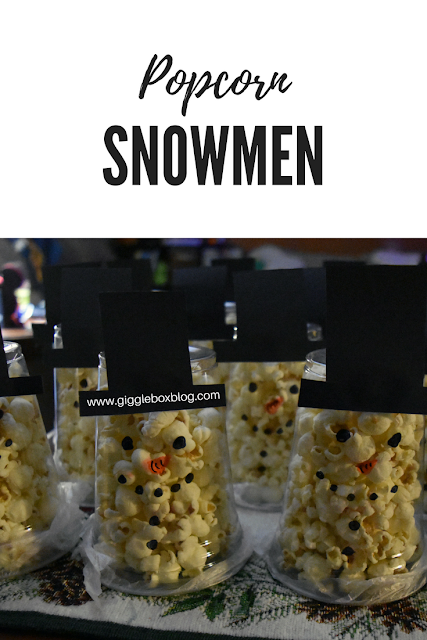 A simple and quick popcorn snowmen treat that the kids will enjoy. This will be perfect for any Christmas or winter party the kids may have this year.